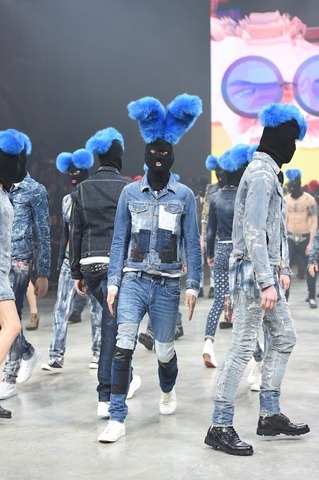 Nicola Formichetti took over as creative director of Diesel in March’13, he brought out a capsule collection in December’13 and now his first complete collection has been launched. 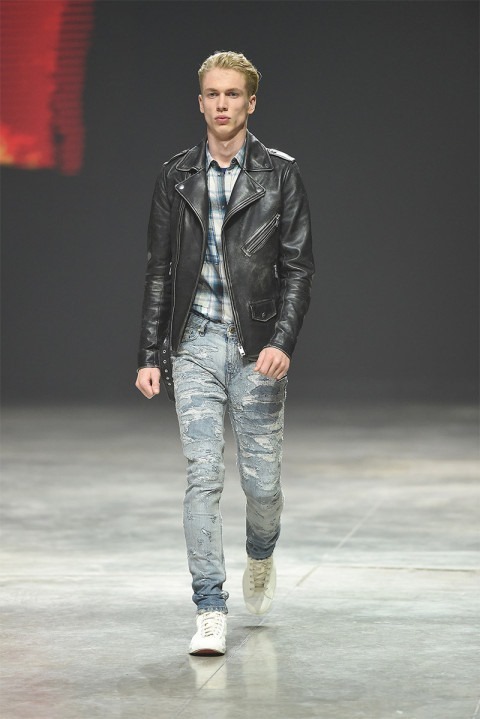 He unveiled his first full collection for Diesel in Venice earlier this month : indicating homage to the heritage of the brand. 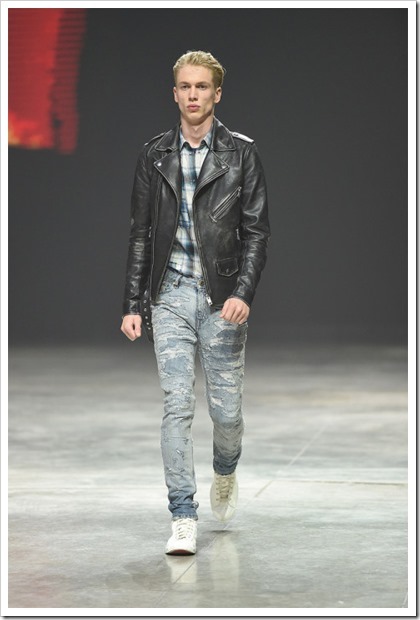 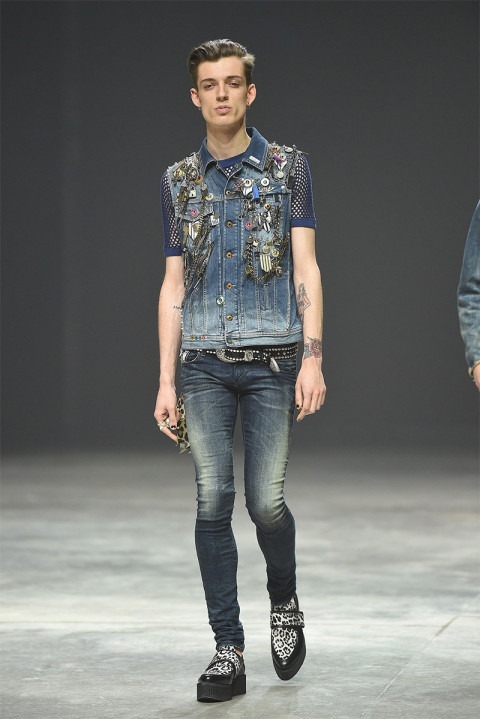 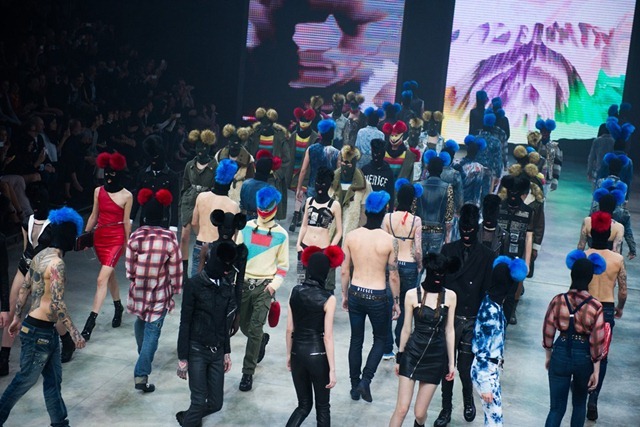 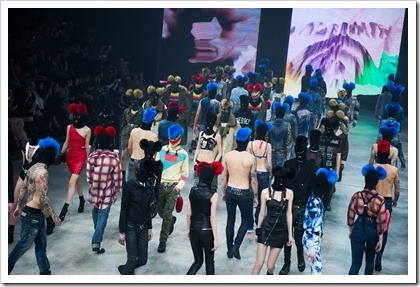 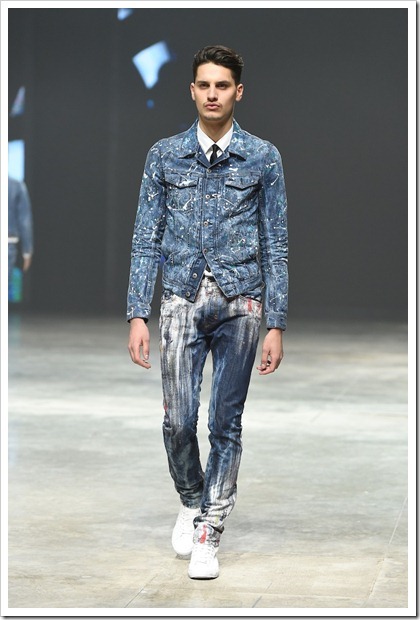 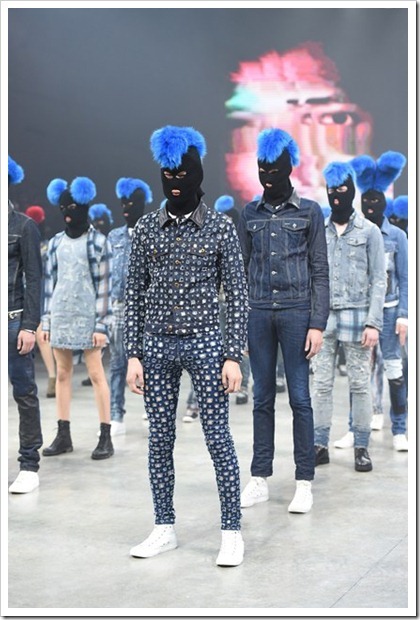 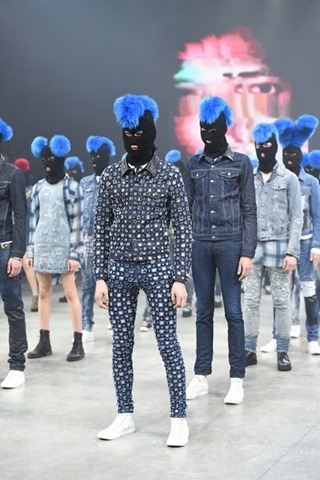 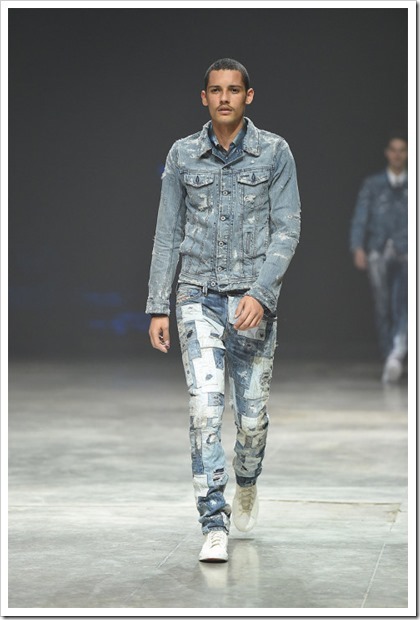 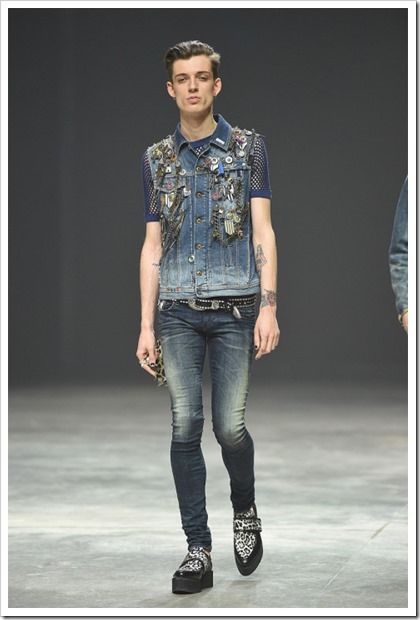 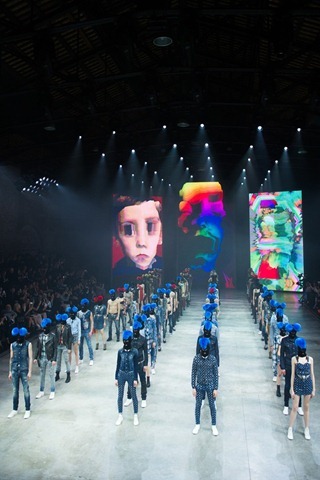 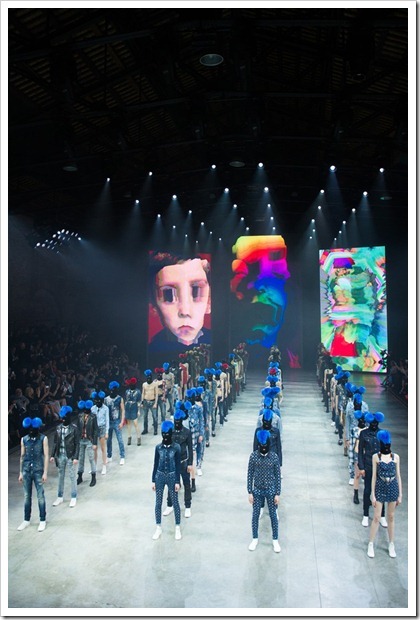 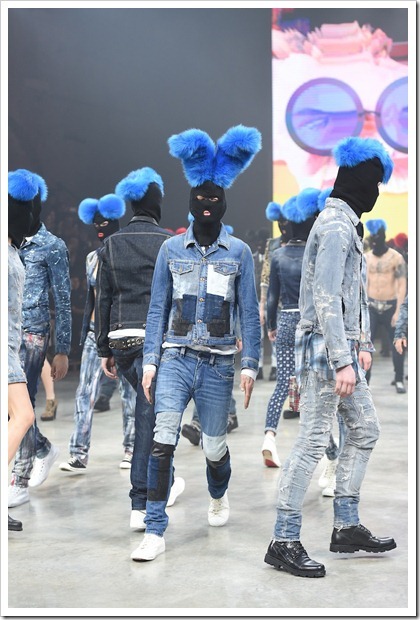 Formichetti divided the catwalk spectacular into three sections; leather, denim and military – the three themes Diesel is best known for. 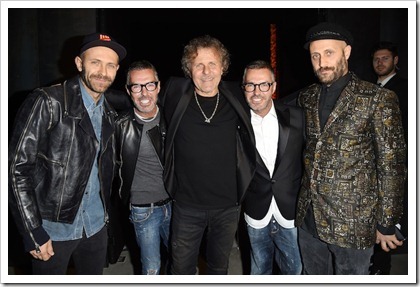 He enjoys a close relationship with Renzo Rosso, the founder of Diesel and that is one of the key to his understanding of Diesel DNA. 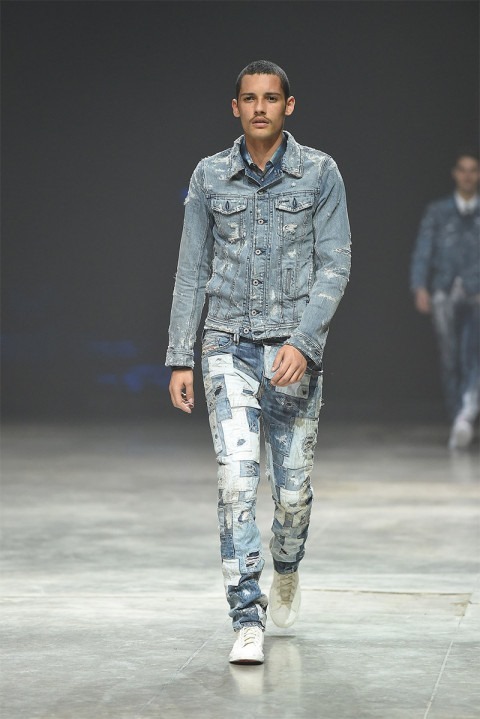 The last capsule collection was assembled entirely by hand with piece-by-piece construction in Italy and used lot of embroideries, patch works and other elements form brand’s past.This collection, though not hand made, has reconstructive and decorative elements from Diesel’s history.Paint looks specialized acid washes and fun decorations on denim are other key features.it remains to be seem whether these looks will be appreciated by their die hard fans.